My name is Corey. Welcome to Bedlam. Part of corey's adventure in La La Land. 1-800-273-8255 Is the number to the suicide prevention hotline. 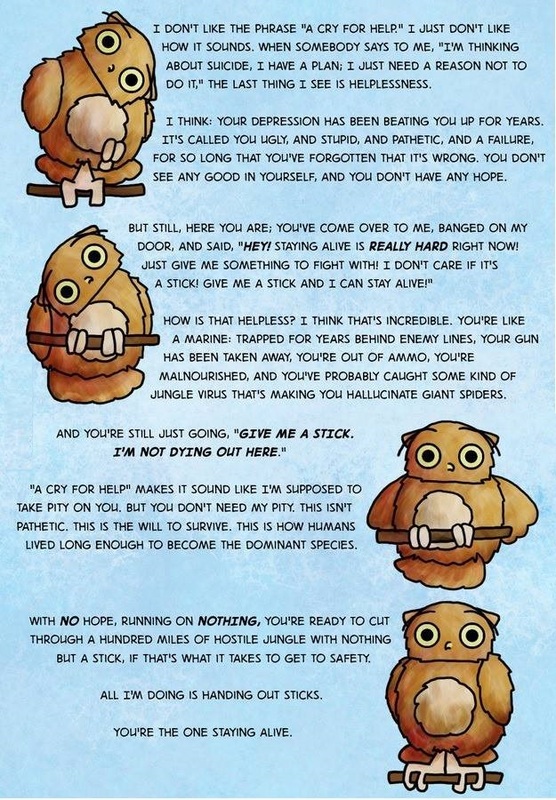 Take a stick, pass it on. http://coreylynn.com/survivalsticks/You must be logged in to post a comment. Insight To Chaos running on WordPress.